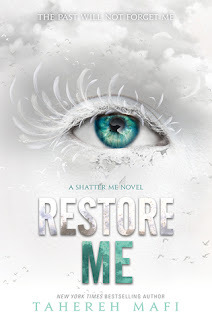 Are you sure this book is really entitled “Restore Me”? Because this didn’t restore me AT ALL. This DESTROYED AND SHATTERED ME. Which, now that I think about it, is the title of the whole series so I should’ve expected that. I thought I was done with this series. I will admit that I was surprised when I found out there was another book because I always thought stories that could’ve ended the way they did must be left that way, and I've read quite a few that felt forced and was continued for the sake of having more books because it was popular, but I am so glad this series have more books still! It’s been years and I was hit with the realization that I craved for a continuation, and now here I am, a big ball of feelings. The story starts where Ignite Me ended, and Juliette now faces life as Sector 45’s Supreme Commander. She thought it was going to be easy, but being a leader is putting her through such a tough test, not just of confidence but her ability to lead. She’s always lived such an enclosed, sheltered life, mostly disconnected to humans that she finds herself lacking in many ways. Warner, on the other hand, is facing enough challenges on his own. He isn’t the unfeeling commander anymore, but instead is hit with unexpected grief for his father’s death. I love how Tahereh managed to move forward with the story without it feeling forced or making it look artificial with a shallow plotline. Without giving much away, what transpired gave me something to look forward to, and made me realize how much more there is to tell about the characters I love. The pacing in this book was much slower, but I’m glad it was because it gave me time to soak in what was happening in the aftermath. The sense of nostalgia was there upon seeing so many familiar characters and reading of their life after the events in Ignite Me. And though many things are changing as the story moves forward, I am glad that some things remain constant, like how Kenji is still an insufferable dork! His sense of humor gives me a brief break from Warner and Juliette's emotions. It felt more intense because the alternating POV between Juliette and Warner gradually increases not just the tension but the conflict not just between them, but with how they deal with things. There was so much work to do, so much to fix that sometimes they didn't know where to start. What happened in the previous book wasn’t an ending but a beginning of something much bigger and more complicated. Going through Juliette’s fragmented thoughts on paper and seeing those broken lines, feeling so much from it made me realize how much I missed being in their world, no matter how dark it felt compared to the other books in the series. I would like to think that with the slow pace, we are instead given a chance to delve more into Juliette’s and Warner’s psyche, their worries and fears, their doubts and insecurities, their feelings and all the aspects that made up their relationship. So much has been left unsaid and not discussed that it was one of the integral points of the story that left me so frustrated. Without giving away anything major, I think this book affected me more because I am presented with so much emotions and thoughts going back and forth that I can’t help but absorb and be immersed with them. I see faults and flaws. I see shortcomings. I see things that gave me more perspective when it comes to both Juliette and Warner. They felt more human here and more in touch with themselves than in the 3 books combined. I am delighted by the plot twist right in the middle of the book. I never thought it would come but when it was there, I had to brace myself because now the story is heading somewhere. New characters were introduced and with it comes the intrigue and that sense of foreboding that things really will start unraveling soon. In case no one's noticed in my tweets, I totally love Nazeera! And I feel like Juliette's world is expanding, and with it comes frightening truths about not just herself but Warner as well. And that ending. THAT. ENDING. I can't believe the book ended that way! That ending, after I sat there speechless for a full minute, made me scramble to look at the calendar and count the days until the next book comes out because I have so many questions that needs to be answered! What a freaking roller coaster of emotions! One moment I was so happy and giggly and then the next I want to pull my hair out of my head and hit the table so hard because of extreme frustration. Tahereh gives me life only to kill me over and over again. Restore Me is a great set up for what is sure to be an action packed, intriguing fifth book. Reading it felt like meeting an old friend after a long time and catching up because there's so much more I have to know. What an exhilarating ride that was. And what an amazing way to introduce me back to a series I love so dearly. Restore Me delivered, and boy did it deliver so much. Now I sit here and wait for another year to read the next book! I just love this book so much. I missed Juliette. I missed Warner. I missed Kenji. I missed literally everyone in this book that I was overcome with emotions the moment I flipped to the last page. IS THAT ALL? WHERE IS THE NEXT PAGE?! Stunning: Worthy of a Goddess' Praise! I am so glad that cover is consistent with the design of the other four books! You guys don't know how relieved I am for that. 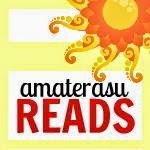 If you have a book you would like to be reviewed and/or promoted, you can send an email at: amaterasureads AT gmail [dot] com. I'd love to host giveaways and do author interviews as well, just drop me a line! For more information on what types of books I read, you can check my Review Policy page.